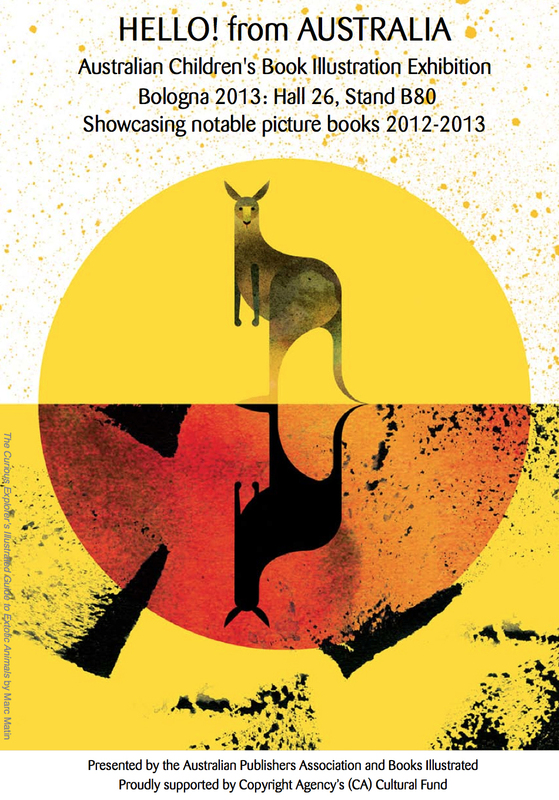 Since 2009 The Australian Publishers Association stand at the Bologna Children's Book Fair has hosted an exhibition of illustrations from contemporary Australian picture books. These exhibitions, curated by Books Illustrated Gallery, celebrate some of the finest Australian picture books of each year and promote them to an international audience. This year you can also meet the inaugural Australian Children's Laureates, Alison Lester and Boori Monty Pryor. Alison and Boori are special guests at the fair participating in an International Laureate Summit held on Monday 25th, 4.30pm at the Authors' Cafe. Find out more here. Each day we will promote the times that visiting Australian authors and illustrators will be demonstrating at the APA stand. These include: Alison and Boori (10.30 - 12.30), Ann James (illustrator of The Dirty Dinosaur, Bird and Bear), Owen Swan (illustrator of Biscuits from Home), Katherine Battersby (Brave Squish Rabbit), Melva Ouliaris (author of Johnny and the Pelican) and Briony Stewart (The Red Wheelbarrow).